This image is for illustration purposes only. I (martin) just finished my first Android App "Dart Scorekeeper", If you like playing Darts you should check it out! In my spare time I (Henk) made together with my nephew (steffen) a new progressive/electro track. You can check it out at Beatport, Dance Tunes and iTunes. Hope you like it! The build of a new PE Builder version failed. Mostly because of time (not having any). You can expect a minor update version. Forum added to the NU2 site. New version of PEBuilder is under development (Profiles, UDF support). We are also working on a complete new version of the Nu2 website. We have moved to a new dedicated server, from Layered Technologies. Firefox v1.5.0.1 has been added to the firefox plugin page. PE Builder would report, File "C:\pebuilder3110\BartPE\i386\system32\NTOSKRNL.EXE" not found, on some older windows versions. PE Builder currently supports the following languages: english*, dutch*, czech*, german*, japanese*, russian*, slovak*, arabic, brazilian, chinese_chs, chinese_traditional_bg5, french, greek, italian, macedonian, polish, portuguese, romanian, spanish and turkish. (*) Help pages are also available. This is a first attempt to check if all files required to boot BartPE exist in the output location. At current a warning message is printed if a file is missing. PE Builder v3.1.9 released! Few small changes. Bugfix! PE Builder v3.1.8b-beta updated executable released! When booting v3.1.8a from CD you will get an error File \i386\system32\biosinfo.inf could not be found the error code is 18. Please use the v3.1.8b updated executable. Multi language support, menus, dialogs, message and the help pages can be translated. See translation.txt for more info. Improved starburn functionality, can burn DVD, added a verify option. Added a new search dialog that helps users search for windows installation files. See PE Builder menu "Source/Search". Registry files are now build directly into the output location. Firefox 1.5 plugin download (multi language). The plugin contains all needed files, just add it using PE Builder Plugin/Add button. Nu2menu update v0.3.51. Can load menu file from command line. New article on Search engine optimization. The server was down for a few hours. It had to be moved to another location. The uptime was 371 days! Nu2menu update v0.3.50. Small fix for FileExist function. PE Builder v3.1.3 is available! Few small fixed/changes. View change log. PE Builder v3.1.2 is available! Few small fixed/changes. View change log. Finally! PE Builder v3.1.0 is available! View change log. Photo to VCD creator version 2.0.3 added to the nu2 site. Tvedia Wakeup extension added to the nu2 site in the Other section. The CD forum is back online! Added a section with legal information to the PE Builder webpage. New track added called Yozaa. You can find the cd cover there too. Barts PE Builder was covered in The Screen Savers on Tech TV! They also have a video feed with it that shows PE-Builder in action. Photo to VCD Creator updated to v2.0.1 Image quality improved! Photo to VCD Creator updated to v1.3.0 Now with multi language and Movie support. NEW! Beta version of Nu2Menu. Nu2menu is a dynamic shell/menu application. It was created for Bart's PE-Builder. Changed the look a little bit, added Martin's PhotoVCD Box. The CD forum has been moved and should be working as normal again... Don't forget to remove any lines you have added to your hosts file. Updated a few drivers (finally) on the Network boot disk page (b44, b57, e100 and e1000). The nu2.nu site has a little bit of a new look. Nice work Henk! PE Builder v1.0.6 updated. The very first non-beta version. PE Builder is stable now. 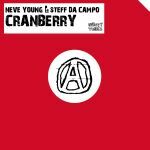 Neve Young & Steff da Campo - Cranberry. Some call it progressive house, others name it Electro but it's just a track to go mad!! You can buy it at Beatport, Dance Tunes or iTunes. 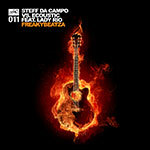 Latest urban club bomb from Steff da Campo.